As this change is deployed, customers will be able to provision, run, and scale their fully managed MongoDB clusters from the same user interface used to manage native GCP services. In other words, the experience of using Atlas on Google Cloud Platform will be similar to that of using Google’s native cloud services, with out-of-the-box integrations to Google StackDriver and Cloud IAM to start, and many more GCP service integrations such as GKE and Cloud Machine Learning Engine to follow. The integration will include unified billing — i.e., customers will receive one invoice from Google Cloud that includes their Atlas usage. Finally, Atlas will also be made available as an offering on the GCP Marketplace, allowing customers to leverage their existing financial commitments to Google Cloud to cover their Atlas usage. The deeper integration between Atlas and GCP elevates the user experience for joint customers and makes it frictionless to use the leading database for modern applications with the cloud service ecosystem driving the latest innovations in Kubernetes and AI/ML. MongoDB Atlas, the fully managed global cloud database, is the best way to deploy, run, and scale MongoDB on the Google Cloud. Developed and run by the same engineering team that delivers the latest MongoDB database packages, Atlas automates time-consuming administration tasks such as deployment, configuration changes, and maintenance while providing best-in-class monitoring, data recovery, security, and performance optimization features out of the box. Customers like Spoke, which provides a Google AI-powered chatbot to customers, migrated to MongoDB Atlas on GCP in 15 minutes, with zero impact to their application. Thanks to richer metrics and automated performance optimization suggestions, the team is already seeing a significant increase in productivity, with more time to focus on developing Spoke’s core features rather than performing database operations and management tasks. 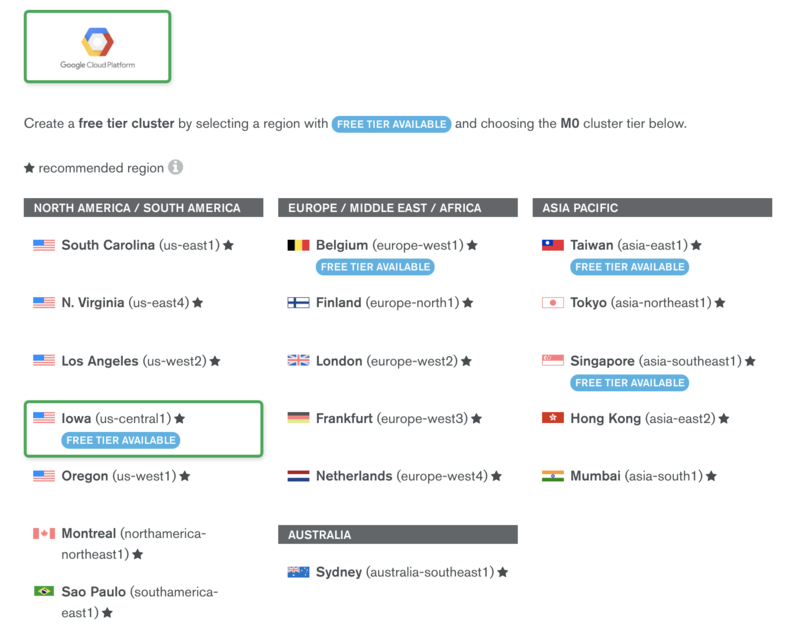 Atlas allows you to deploy clusters across 18 GCP regions in minutes. The new experience for Atlas on GCP will be available for joint customers beginning with the GCP marketplace integration this summer — stay tuned! If you’d rather not wait, you can create a free account and deploy a cluster on GCP in minutes.